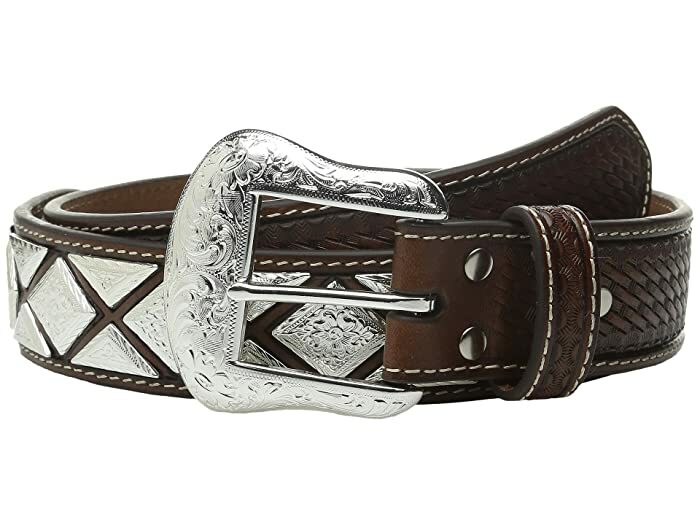 Your western style won't be complete with out this detailed leather belt by Nocona™. Tooled leather belt with a scalloped-shaped belt. 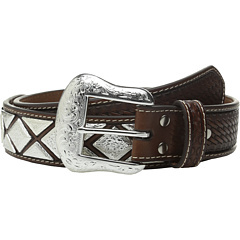 Features metal-studs, diamond-shaped accents, and basket-weave embossing.